Delicious, one-bowl, buttermilk cornbread that’s the perfect balance of sweet and savory. [social_warfare] Cornbread is a contentious dish. Every time I order cornbread in a restaurant I get a different version based on that chef’s interpretation of what cornbread is. Sweet or savory? Northern or Southern? Cake-like or dry? Baked in a loaf pan or in a cast iron skillet? With jalapenos? Cheese? Corn? The variations are endless. Having lived in the North and the South and elsewhere in the world, I’ve learned that my favorite is a blend of all these varieties. 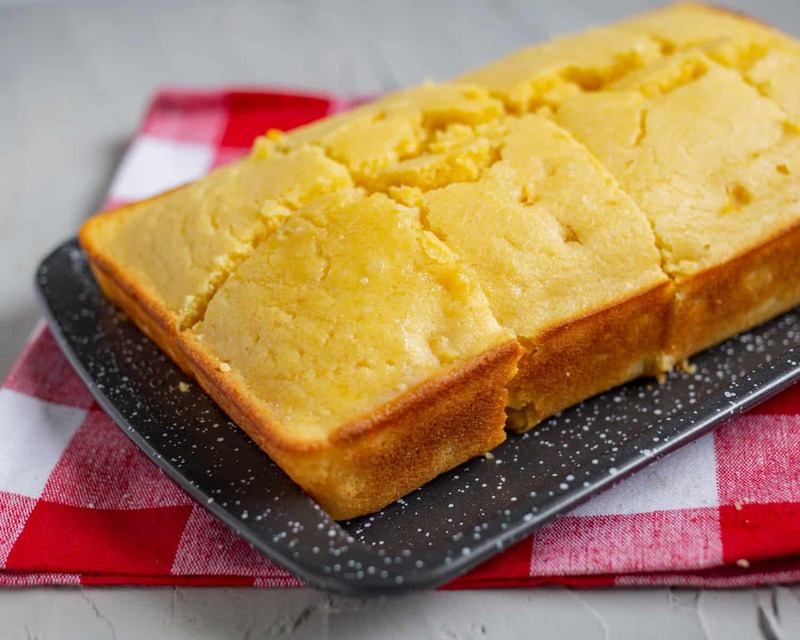 I stay out of the ultimate cornbread battle and make a version that’s a touch sweet, but definitely not so sweet that it could be mistaken for a cake, with a moist texture but plenty of cornmeal, and filled with real corn (usually from a can unless it’s the middle of summer). I’ll leave the choice for jalapenos and cheese up to you. Butter on top of the warm, freshly baked cornbread is required. 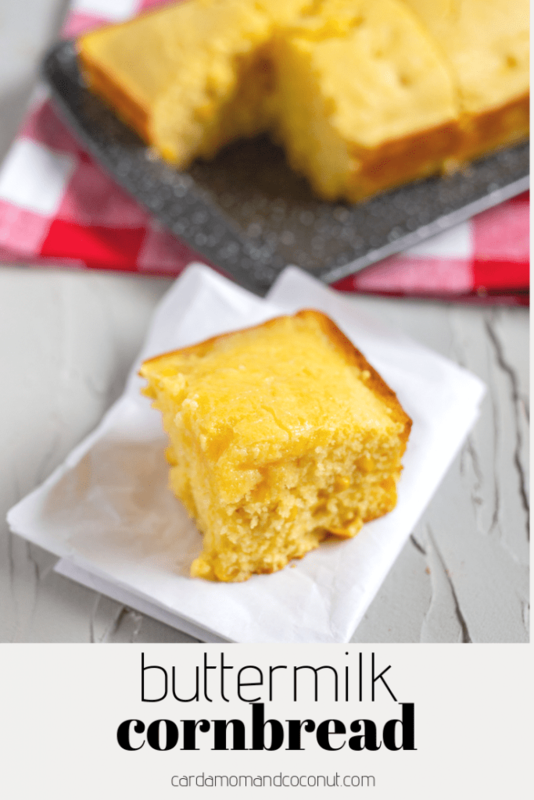 This buttermilk cornbread recipe is so simple that I’ll even make it on a busy weeknight. All you need to do is mix together all of the dry ingredients in a bowl – cornmeal, flour, sugar, baking powder, and salt. Then add the eggs, buttermilk, and melted butter. Incorporate some canned corn (and jalapenos if you want them) and bake. I like to get this in the oven, make my main course, and then serve both together. 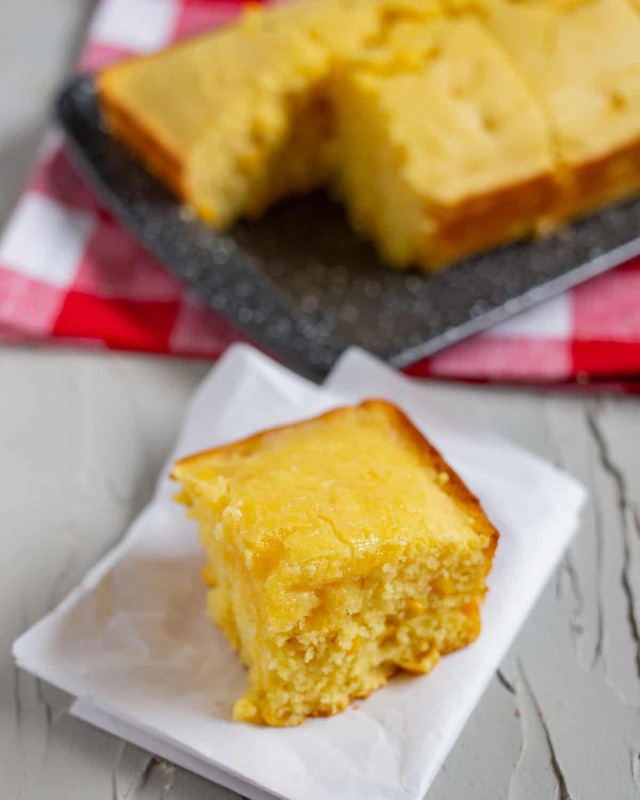 If you try this recipe for Buttermilk Cornbread, leave a comment and review below and let me know how it worked out for you! 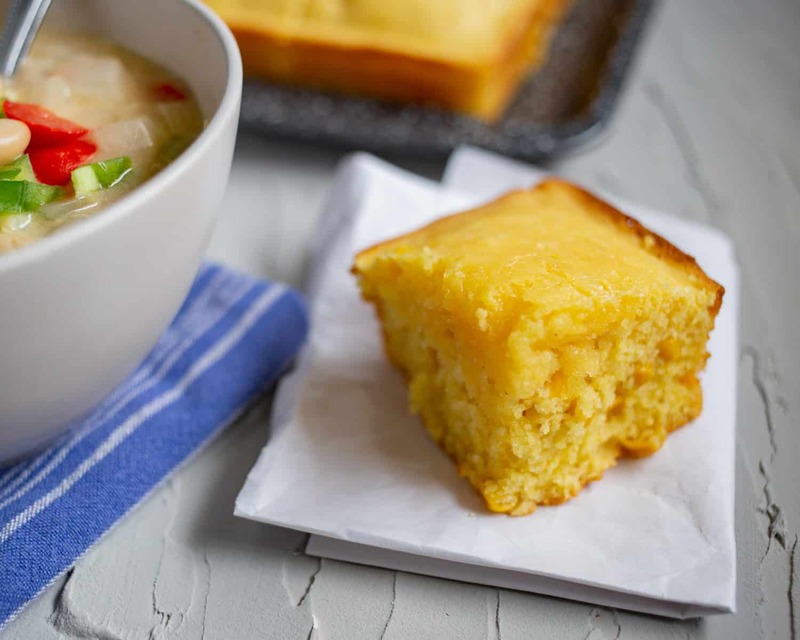 Easy, one-bowl cornbread that's the perfect balance of sweet and savory, filled with real corn. Add the cornmeal, flour, sugar, baking powder, and salt to a large bowl. Mix together well with a fork. Add the eggs, buttermilk, and melted butter to the dry ingredients. Mix together well with a fork. Drain the can of corn and then add to the batter. Add the jalapeno if using. Mix well. Spray a loaf pan with cooking spray. Then pour the batter in. Bake for 30 to 35 minutes until a toothpick inserted comes out clean. Serve with butter. Your cornbread would go so well with the chili we had this week. Next time around I will add this to our menu. Looks great! This looks absolutely delicious and so moist! 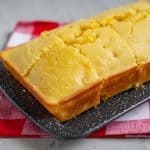 I’ve never tried cornbread before, but it seems like a great versatile treat! I’m with you on picking the middle ground between savory and sweet when it comes to cornbread. Yours looks so moist and delicious and I always love having some corn kernels in cornbread. I have never had cornbread, but it looks like delicious comfort food. I can’t wait to try. This looks so tasty! I’ve only had cornbread a handful of times in the past so I will have to give making my own a go as it looks super delicious!